WRJ creates a space for women develop their skills, explore their own potential, and grow their leadership. I know this, because it happened to me. As a newlywed, I was invited to co-chair an event at my congregation that was a joint effort with our sisterhood. While I didn’t have experience in planning events, that did not bother my sisterhood co-chair, who led me by the hand through each step for preparation. Following that experience, I was invited to join sisterhood – and within just a few years, I found myself serving as President. One of my early mentors was a past member of the WRJ Board of Directors, who strongly encouraged me to attend the 1985 Biennial Convention in Chicago. There, I met so many interesting, passionate, and amazing women – and I wanted “what they had.” So, I went to my WRJ District Convention (where I was then asked to chair the Budget Committee), and just a few years later was invited to a conference in New York for sisterhood presidents from large congregations (now incorporated into WRJ’s Fried Leadership Conference). It was that conference that opened my eyes to the possibilities for developing new skills, and stepping up to even bigger leadership roles. WRJ creates a safe, nurturing environment for women of all ages to evolving in their engagement and leadership in many areas of their lives. WRJ is a place where we make meaningful contributions and, in doing so, become the kind of women we seek to be. At its heart, WRJ exists to ensure that every Reform Jewish woman is equipped to fulfill her potential to improve the world. Susan C. Bass has been affiliated with the Reform Jewish Movement institutions during every phase of her life. A member of her Temple Youth Group (TYG), she attended regional conventions and kallot across the Southeast. Then, after graduating from the University of Georgia, she joined The Temple Sisterhood in Atlanta, GA, holding many positions before serving 3 years of a 2 year term as President from 1988-1991. Susan became active in the WRJ Southeast District in 1988 and over a 10-year period, held several executive positions on the District board, including President from 1998- 2000. 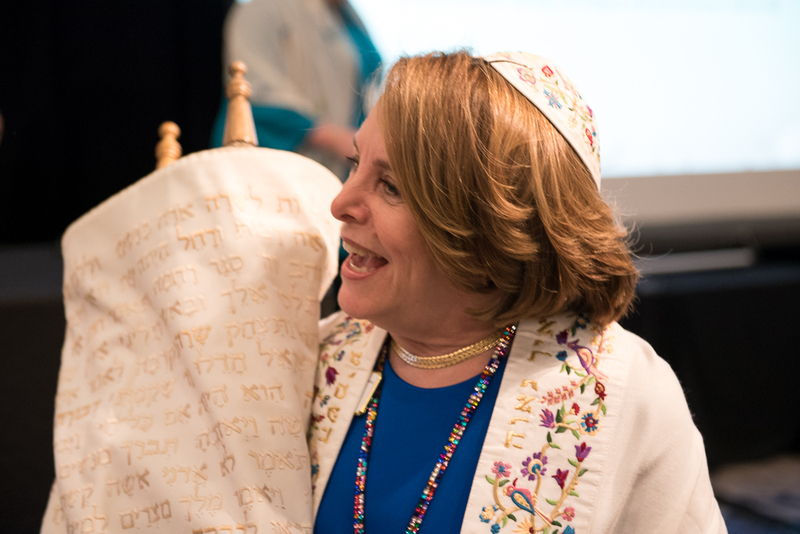 In 1991, she was elected to her first term on the National Federation of Temple Sisterhoods (NFTS, now WRJ) Board of Directors and is currently President of Women of Reform Judaism. As an officer of WRJ, Susan has served as Vice President of the Departments of Marketing & Communications, Service to Sisterhoods & Districts, and Development and Special Projects; a member of the WRJ Constitutional Revisions, Audit, and Budget Committees; and as Co-Chair of the WRJ Task Force on Districts. Since 1993, she has also served on the WRJ Speakers’ Bureau, visiting sisterhoods across North America. Following her term as WRJ Southeast District President in 2000, Susan was elected Secretary and then Vice President of the Southeast Council of the Union for Reform Judaism (URJ). In 2001, she was elected to the North American Board of Trustees of the URJ, and has served since then. Susan served on the inaugural URJ Oversight Committee (which replaced the Executive Committee) from 2011 – 2013. She was re-elected to the URJ Board of Trustees in San Diego in 2013. An Atlanta native, she moved to Houston, TX in August 2004, where she joined Congregation Beth Israel. Active in her sisterhood there, she served as president from 2009 – 2011. Professionally, Susan was a teacher for eight years, spent seven years planning and helping to stage the 1996 Olympic Games in Atlanta, and then worked for management consulting firms as an administrative manager. To contact Susan, email her at wrjpresident@wrj.org. Created in 2010, the WRJ Chai Society helps WRJ Board alumnae continue their involvement with WRJ, mentor and inspire rising leaders in the organization, and make a difference in the Reform Movement and beyond. The WRJ Staff, located primarily in the New York City office, provide professional support to the WRJ Board of Directors, WRJ Districts and WRJ-affiliated Sisterhoods and oversee a variety of projects to ensure the organization's success.